"Excellence in Service is the only Sustainable Business Strategy"
A Pinnacle Book Achievement Award winner. A Washington Post Top-Five Winner. 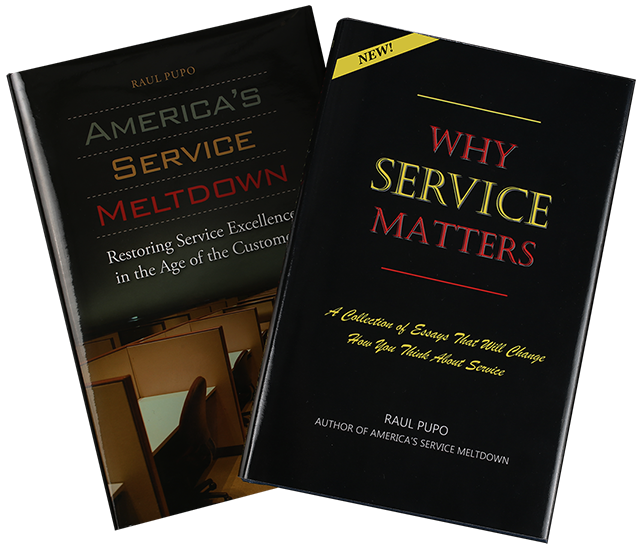 See why Raul is considered a world-class expert on service strategies. Hear Raul Pupo's interview with Radio Personality Joyce Kaufman.Raul Pupo is interviewed by popular radio host Joyce Kaufman. Raul Pupo is interviewed by Travel Market Report. Raul Pupo's interview with Dr. Jerry Newcombe.